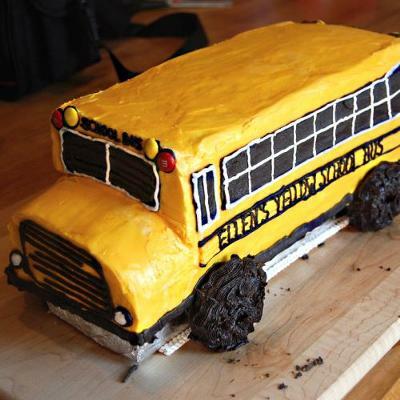 Kids get really excited about the school bus...if your child does...this might be a fun birthday cake to make. 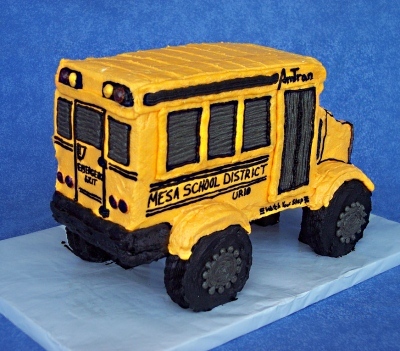 This cake was cut in the shape of a bus and covered in buttercream frosting. The details were made with icing. M and M's are the school bus lights. Thank you Brad for allowing me to share this cool bus cake that your wife made! 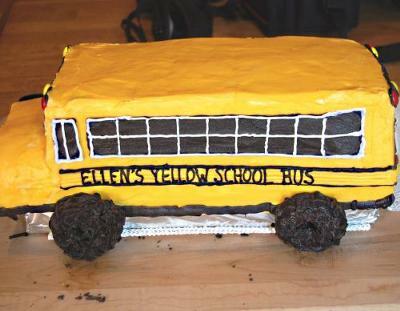 What a cute school bus cake! I love the details made with icing to make the name, windows, doors and the attention to detail down to the wheels! 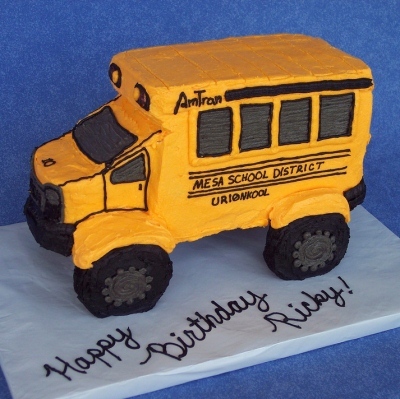 Cute for a school bus themed kid birthday or just for fun. Every child loves the "yellow school bus!" Thank you Rebecca for allowing us to share this wonderful school bus cake with our readers.